Samaritan's Purse also deployed to California after wildfires in 2015. 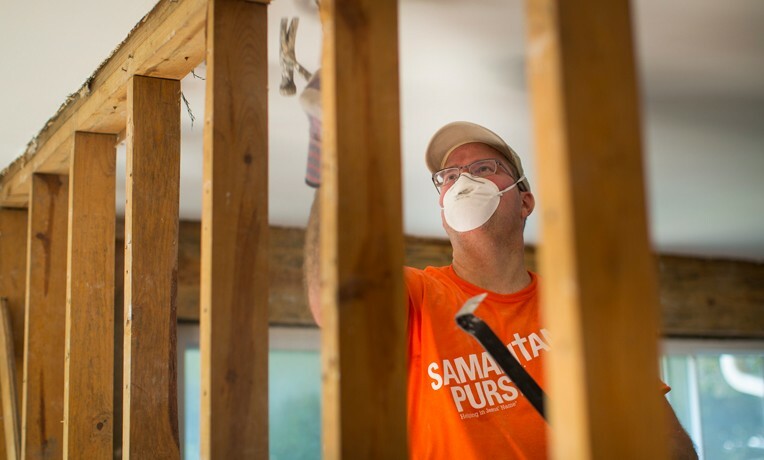 Samaritan's Purse has staff and a disaster relief unit in California to coordinate the relief efforts of our volunteers. Samaritan’s Purse is responding to the deadly wildfires that have ravaged Northern California since early October. Staff members and a disaster relief unit—a tractor-trailer stocked with relief supplies and equipment—have been deployed to the area, and our base church will be The Bridge Santa Rosa at 301 Fulton Road. Santa Rosa is the county seat of Sonoma County, north of San Francisco. “As the Tubbs fire in Sonoma County is ranked as the most destructive wildfire in California’s history, our thoughts and prayers go out to the families whose loved ones lost their lives and the people who lost their homes and businesses,” said Luther Harrison, vice president for North American Ministries. Our volunteers will come alongside homeowners in Jesus’ Name to help them recover precious belongings and keepsakes from the ashes. Volunteers will also be doing some chainsaw work. We are joined in our efforts by Billy Graham Rapid Response Team chaplains, who have been ministering to families since mid-October. The 245,000-acre Northern California wildfires, which began Oct. 8, have killed more people than any other California wildfire on record. The death toll is at least 42 people in four counties. The blazes have also destroyed 8,400 homes and other buildings, according to officials. Nearly 3,000 of those homes were in Santa Rosa alone. At the same time, more than 100,000 people have been displaced. Authorities report that 5,000 firefighters remain on the lines, battling 10 different fires across the state. Please pray for God to protect, guide, strengthen, and use our teams to bring honor to His Name—and that His light will shine brightly.